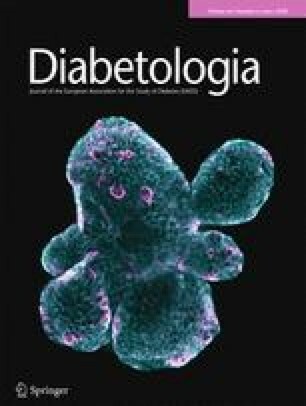 Type 2 (non-insulin-dependent) diabetes mellitus and insulin resistance are associated with centrally-distributed obesity. These disturbances are especially prevalent in people of South Asian (Indian, Pakistani and Bangladeshi) descent. We examined the relationship of glucose intolerance to body fat pattern in a population survey of 2936 men and 537 women of South Asian and European origin living in London, UK. In both groups glucose intolerance (defined as diabetes or impaired glucose tolerance) was more strongly associated with waist-hip girth ratio than with skinfolds or body mass index. The associations between body mass index and glucose intolerance were fully accounted for by waist-hip ratio. In European men with normal glucose tolerance fasting insulin levels were more strongly correlated with body mass index than with waist-hip ratio. Physical activity scores were lower in South Asians than in Europeans but no statistically significant associations between glucose intolerance and low physical activity were detectable. Leisure-time physical activity scores were inversely correlated with 2 h insulin levels in both groups. In contrast with other studies these results suggest that a specific effect of intra-abdominal fat deposition underlies the association between glucose intolerance and obesity. The association between hyperinsulinaemia and obesity is less specific for centrally-distributed fat. When measured appropriately waist-hip ratio is the most valid anthropometric index for identifying individuals whose obesity predisposes them to glucose intolerance.